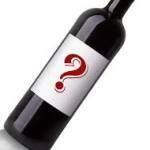 Would you go to a restaurant that offered wines from only one label? Of course not. But that’s what been going on in fancy and not so fancy restaurants for ages. While a fancy eatery can make Blue Bottle Coffee a selling point, tea is in another realm. Why don’t restaurants take the time/energy/delight in offering a darjeeling, from, say, Glenburn Estate, which regularly sells out of its first flush crop and produces a delicate, flavorful, floral product? Or a pu-erh from ImperialTeaCourt. Or dragonwell from Silk Road Teas? You get the picture. And who sez you have to pair port with cheese? Imagine sipping a spring-like, slightly astringent tie-guan yin (Iron Goddess of Mercy) with a California Humboldt Fog chèvre. Or a delicate Darjeeling with a mushroom risotto. Or a creamy chocolate chef concoction with a full bodied Assam or deeply flavorful pu-erh. The combos are endless. Point is to think tea as well as wine. If you need guidance, ask for the tea sommelier. Really, they exist and if they aren’t at your local posh fork, they should be. Soon. 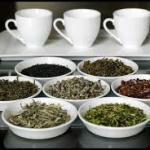 Or, as tea sommelier, chef and cookbook author Cynthia Gold says, think of pairings as matching or contrasting food with tea. Pair light appetizers with slightly astringent green tea. Or a steak or heavier entree with a full-bodied tea. 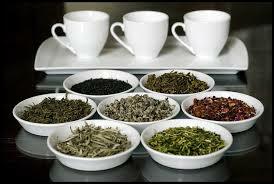 Or contrast flavors with teas. So instead of settling for a pot of meh leaves, stretch your taste buds and your geographic/sensory idea of what food pairings are all about. And if the idea of tea – even if it’s mind-bending in complexity and taste bud awakeners – doesn’t rock your need for an alcoholic buzz, there’s always delicious mar-tea-nis or rum and Earl Grey. Or a killer punch with the secret ingredient – you guessed it. 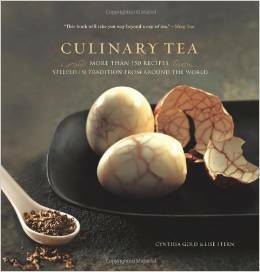 For more on tea/food pairings, check out tea sommelier Cynthia’s Gold’s groundbreaking book. Wow, I never thought about tea like that. I go to my favorite Japanese restaurant because the tea is so good and compliments the food, but why not other restaurants? 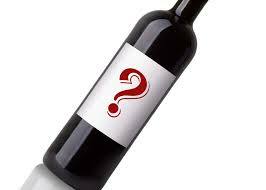 I would order tea over wine if I had something other than a couple of after thought teas to pick from, and I would be willing to pay! so happy Lilac tea room is back!